Rui was an absolutely amazing tour guide, he has a lot of knowledge about the history, architecture, culture, and street art of Lisbon and his tour was something unlike I have ever taken before. He is very flexible when it comes to planning the tour and he knows the best spots for lunch and short breaks for coffee or a drink. 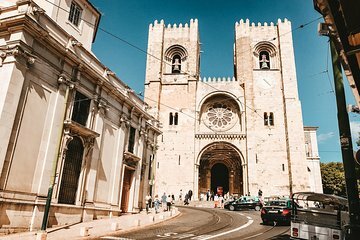 I highly recommend this tour to anyone wanting to actually see the real Lisbon, as this tour shows the various cultures of Lisbon and beautiful street art in addition to important historical places and monuments. Overall a very great experience!